Just a few days after its release, Star Wars: The Force Awakens is already a true hit with both fans and critics alike, with a 95% "Fresh" rating on Rotten Tomatoes and several box office records to its name. Disney and LucasFilm's beloved sci-fi adventure opened with a massive $238 million in its first weekend, decimating Jurassic World's record of $208.8 million from mid-June. It's possible that Avatar's all-time record of $760.5 million domestic could fall, but we'll have to wait a few months to see if it has the longevity to break this seemingly unbreakable record. But, for the millions that were blown away by The Force Awakens, there are still some that had several issues with this sci-fi adventure. Of course, it would be an impossible task for director J.J. Abrams and his team to please EVERYONE, but there are still a few points of contention that both fans and haters alike have with this adventure. Be warned, if you have not yet seen The Force Awakens, there will be /star-wars-force-awakens-spoilers-secrets/Star Wars SPOILERS revealed below, so read on at your own risk. Star Wars: The Force Awakens not only features the return of some of our favorite iconic characters, but a slew of new faces as well. The cast of Star Wars newcomers is lead by John Boyega's Finn, Daisy Ridley's Rey and Oscar Isaac's Poe Dameron, along with Adam Driver's villainous Kylo Ren. Mark Hamill (Luke Skywalker), Harrison Ford (Han Solo) and Carrie Fisher (Leia Organa) also return to reprise their roles from the original trilogy, although some were seen more than others...And some may never be seen again. 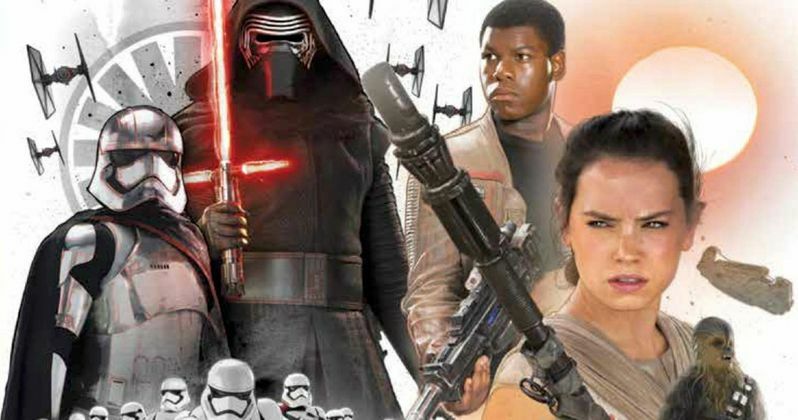 The Star Wars: The Force Awakens supporting cast includes Domhnall Gleeson as General Hux, Lupita Nyong'o as Maz Kanata, Gwendoline Christie as Captain Phasma, Andy Serkis as Supreme Leader Snoke and Max von Sydow as Lor San Tekka. Star Wars: The Force Awakens was praised by many fans for bringing back the same aesthetic as George Lucas' original trilogy that has created legions of fans around the world. However, while some praised Star Wars: The Force Awakens for sticking close to the original trilogy's roots, that was also a point of contention for another group of fans, who thought it was too similar to George Lucas' original trilogy. While many of our favorite scenes are certainly reminiscent of the first Star Wars movies from the 70s and 80s, other scenes reflect a unique vision and the directorial style of J.J. Abrams. The same nostalgic beats that some praised drew the ire from others, proving the age-old quote by poet John Lydgate rings true even today: "You can please some of the people all of the time, you can please all of the people some of the time, but you can't please all of the people all of the time." No matter what you thought of Star Wars: The Force Awakens, one thing is undeniably clear: Disney has no plans of slowing down. A report from last month claimed the studio is planning a new Star Wars movie every year, indefinitely, until the seemingly infinite demand for these movies run dry. These new movies are just on part of Disney and LucasFilm's massive plans for the franchise, which include a slew of new novels and comic books, which are all part of the official canon, along with theme park attractions and much more. Judging by last weekend's grosses, that won't happen anytime soon, and now that Star Wars: The Force Awakens is here, the countdown begins for the first spinoff, Rogue One: A Star Wars Story, in theaters December 16, 2016 and Star Wars: Episode VIII, arriving May 26, 2017. Even with production under way on Rogue One: A Star Wars Story and filming starting this spring on Star Wars: Episode VIII, there is so much we don't know about the future of this franchise after Star Wars: The Force Awakens. So, with that in mind, we're presenting the 11 biggest problems found in Star Wars: The Force Awakens, with the hope that the filmmakers tasked with continuing this epic franchise, Rian Johnson (Star Wars: Episode VIII) and Colin Trevorrow (Star Wars: Episode IX) can either rectify these oversights, or find ways around them. We begin with what could have been one of the most important moments in the entire movie, that came and went in an instant. In the months leading up to Star Wars: The Force Awakens, we learned a lot about The First Order, but hardly anything was said about the new government that was spawned after the Empire was defeated, known as the New Republic. As it turns out, Star Wars: The Force Awakens didn't shed too much more light on this government, since it was destroyed in one fell swoop by the massive Starkiller Base, in a tiny scene that was glossed over quite quickly by director J.J. Abrams. One would think that the destruction of the entire governing body of the galaxy would warrant a lot more than just a trivial scene, but that's all we got. An entire government fell within seconds, and hardly anyone paused to reflect on this matter.